This is a rectangular Columbia Records porcelain sign. This particular Columbia Records sign is predominantly yellow with black text. 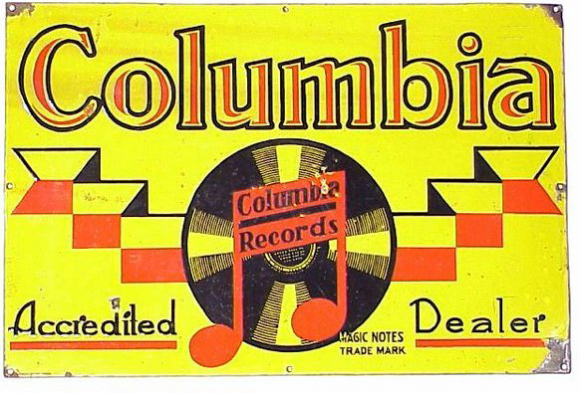 It reads, “Columbia Records, Accredited Dealer, Magic Notes Trade Mark” and features an orange music note in front of a vinyl record in the center.